Performance Dates: Now through December 21st. 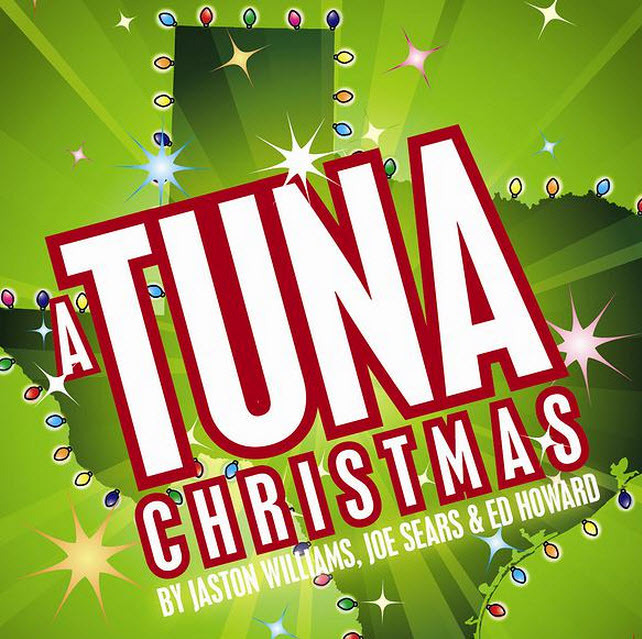 For the first time in 2 years, J CITY Theater will open “A TUNA CHRISTMAS” by Jaston Williams, Joe Sears, and Ed Howard. Opening night is December 11th and the show runs Wednesdays thru Saturdays at 8pm. This is a limited run and audiences are encouraged to reserve tickets due to limited seating. The show is scheduled to close on December 21st. 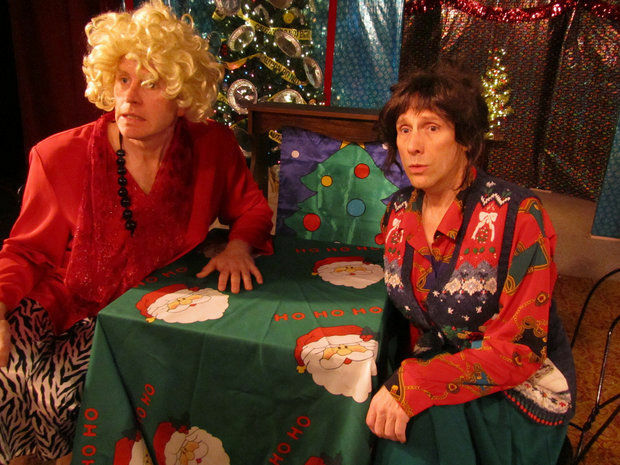 Back by popular demand, “A TUNA CHRISTMAS” is a marathon Christmas comedy of southern madness. The Christmas yard display contest is heating up in the small town of Tuna, Texas as neighbor fights neighbor for the most outrageous display of lights, Santas, Baby Jesus’ and Rudolphs. This year however, there is a Christmas Phantom on the loose, spreading vandalism and havoc. With quick-change zaniness and quicksilver one-liners, two incredibly talented actors introduce us to 22 of the wildest citizens in Tuna, Texas. A big change for this year: a new cast member! Stephen Hope, last seen in J CITY’s production of APARTMENT 3A, has risen to the high-heeled challenge of being one half of the crazy town of Tuna, Texas. Stephen brings a Broadway pedigree to the production, having been a member of the original cast of JOSEPH AND THE AMAZING TECHNICOLOR DREAMCOAT – as well as countless Off Broadway, regional and touring productions over his distinguished career. Clay Cockrell will round out the cast – completing the duo that portrays all 22 characters. J CITY’s eighth season is their “Come Back Season” and is their return to the stage after being impacted by last year’s Super Storm Sandy. Their recent production of Apartment 3A by Jeff Daniels was their most successful show in their history and they are thrilled for this chance to restart their company with such excitement. “We are so touched by the response we have received from our supporters. Our audience is like family to us and we’ve missed them just as much as they have missed us”, says Ms. Cockrell. Kanibal Home Presents a Holiday Gift Giving in Style! 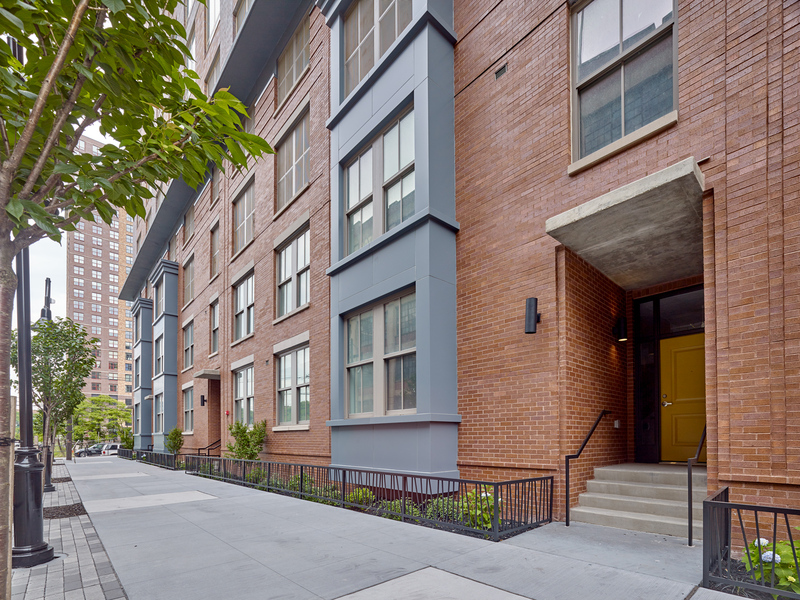 Mixed Student/Professional Apts. for Jersey City?